Numerous reports of seniors being abused in nursing homes seem to signify an urgent need for reform. In Bangor Maine, last week, an infestation of maggots was discovered under the bandages which covered a patient’s chest wound. Recently in Syracuse, a 48-year-old nurse’s aide was accused of sexually molesting a disabled nursing home resident. In Quincy, Illinois, a former nursing home employee is still awaiting trial for striking an elderly nursing home resident in the face. Then there is the settlement of almost 40 million dollars that Extendicare, a large chain of nursing homes with approximately 150 facilities in over 10 states, will pay out for unsavory billing practices. The suit also alleges the provision of second-rate care. Meanwhile in West Virginia, a woman has filed suit against Genesis Healthcare. She claims that her relative, Randolph Zimmerman, suffered from fatal neglect and eventually died for lack of proper care. A bill signed into effect by President Obama on Oct. 6 would seem to indicate that these and other complaints have not fallen on death ears. 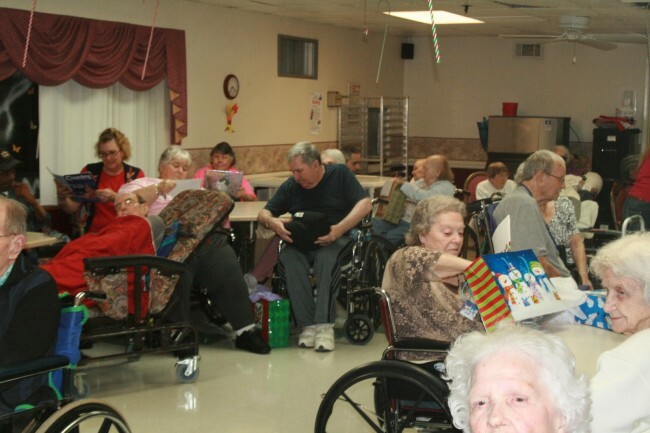 Entitled, Improving Medicare Post-Acute Care Transformation, the IMPACT Act aspires to enhance the quality of the care provided by nursing homes, acute care and rehabilitation facilities by increasing transparency and implementing standardized assessment processes. In light of the fact that a little over half of alleged incidents of neglect, abuse, or exploitation were being reported to federal agencies, there was significant concern about the accuracy of self-reported data. The IMPACT Act seeks to ensure that data collection procedures are uniformly followed and that the actual data collected is pertinent in terms of correcting the issues. Some might breathe a sigh of relief that something is finally being done to protect fragile and often marginalized seniors. Others might wonder if changing the way we collect nursing home data is enough or is there an urgent need for reform. For at least one family in Georgia, losing the family matriarch just days before she was to be discharged from an acute care facility was a devastating loss from which they still struggle to heal. A young lady, from that same family, used the lesson from that unanticipated death to ensure that the family would not lose another relative to a nursing home. For her it meant showing up two or three times at day, at odd hours, to make certain that the staff knew that someone was watching. For a myriad of reasons, families are often not in a position to care for their loved ones at home. At the same time, some family members may be unwilling or unable to visit often or cannot spare the time to visit at all. There are also lots of facilities staffed with caring and compassionate staff. Sadly, there are also those that are not. Some states allow the use of video cameras as a defense against abusive behavior. Others oppose this measure as a violation of privacy. Still others, like the young lady mentioned above feel that being diligent; showing up often and at unexpected times, and asking lots of questions can prevent negative outcomes. While the answers are not entirely clear, recent headlines would suggest that in addition to federal guidelines for collecting data, video cameras, or conscientious family members, additional nursing home reform is urgently needed.